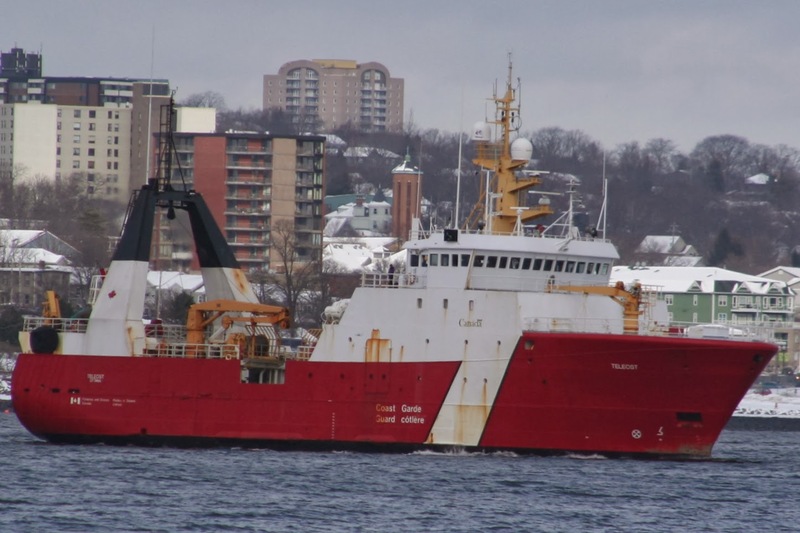 Noon hour brought the Departure of Fisheries Research vessel CCGS Teleost. 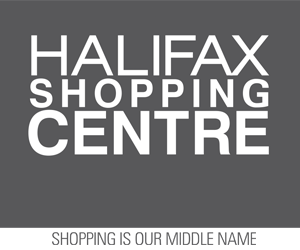 A rare caller in Halifax, She is based in the Newfoundland Region. 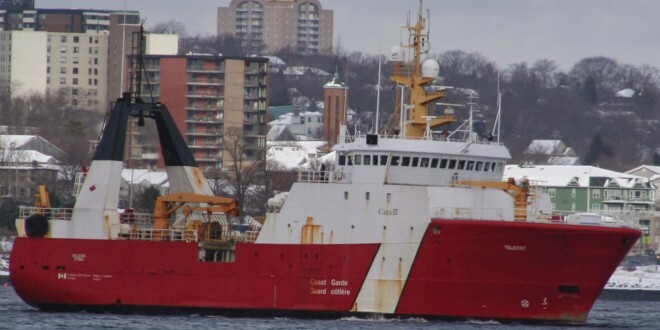 She was built in 1988 in Norway as a fishing trawler, before being acquired by the coast guard and modified for her new role in 1994.